"Seizing opportunities in the growing 3D TV Market in the PRC continuing to increase the proportion of high-end products"
TCL Multimedia Technology Holdings Limited "TCL Multimedia’ is pleased to announce that TCL has signed an official agreement with CCTV to become its exclusive 3D Channel partner. The two parties are expected to have deep comprehensive cooperation across the entire 3D field and to stimulate the rapid growth of China's 3D industry as well as the popularity of 3D Channel and 3D Cloud TV while bringing consumers better and quicker brand-new 3D experiences. TCL's cooperation with CCTV features three main aspects. In terms of products and technology, the two parties will work together closely to develop technologies such as 3D displays in efforts to improve the visual effects of the 3D Channel. In terms of content, TCL will provide 3D content to CCTV such as the 2012 CBA All-star Game, which will be shot by TCL with 3D technology and is expected to be broadcast on the CCTV 3D Channel afterwards. In terms of joint promotion, TCL's sales terminals will become the best promotion and broadcast channels for the CCTV 3D Channel, which will speed up the popularity of the 3D Channel and 3D TVs in the PRC Market. "Our collaboration with CCTV fully demonstrates TCL's leading position in 3D TV products and technologies. Looking ahead, we will continue to seize the opportunities presented by the growing demand for 3D TV in the PRC Market and to further boost our market share and the proportion of our high-end products." 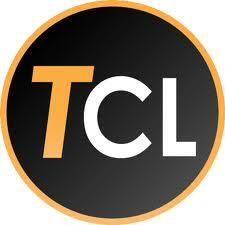 TCL Multimedia has long been engaged in developing 3D technology and is the leader in the 3D cloud TV industry. As early as 2007, TCL was the first to establish a strong 3D R&D team and became the chairing company of the China 3D Industry Association to take the lead in establishing testing criteria for the image quality of 3D TVs in China. TCL was also the first in the world to have three 3D products in the market at the same time, namely, its naked eye, polarized light and shutter products, giving the Group full coverage of the 3D field. Furthermore, it was the first to launch naked-eye 3D TVs for commercial use and the first to carry out 3D recording and broadcast such as for the 2011 Guangzhou Asian Games. In 2011, TCL became the only joint international promotion partner in the global TV industry for the 3D version of "Transformers III". Its 3D technology was highly praised by Paramount. Recently, TCL became CCTV's exclusive partner in providing 3D cloud TVs and technical support for the first CCTV Chinese New Year online gala. The launch of the 3D Channel has boosted demand for 3D TVs in the PRC Market. According to statistics from China Market Monitor Co. Ltd., there is an expected demand for a total of 43 million LCD TV sets in the PRC Market in 012, with sales volume of 3D TVs estimated to reach approximately 20 million sets, accounting for nearly 50% of the market total. 0 Response to "TCL Became the Exclusive Partner of CCTV 3D Channel"